It is true confessions time. We travelled quite extensively for many years with little regard for brand loyalty. We joined all the loyalty programs and then scattered our points everywhere. Often points expired unused. Promotions that would increase our points were ignored. In the last 3 years we started to change that. 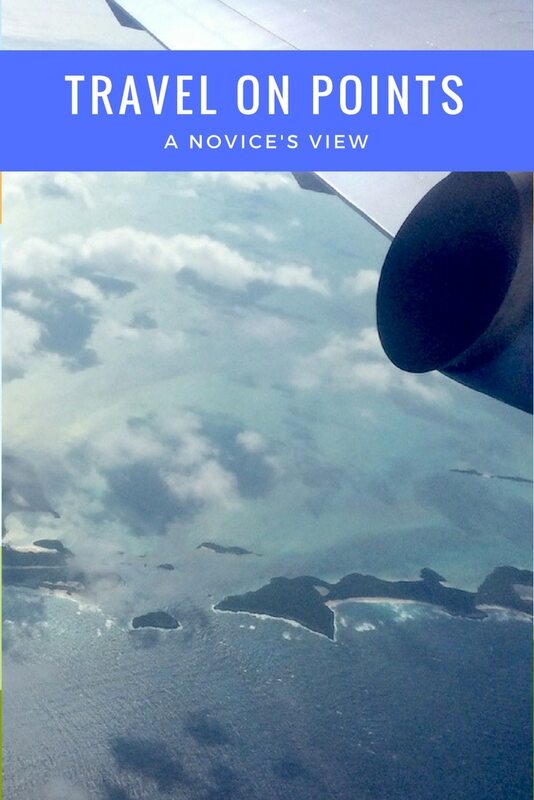 We thought we would share our novice lessons about how to travel on points. People who travel a lot for business probably learned about the value of loyalty and points well before they reached the point where most of their travel is for leisure. People who had to maximize every travel dollar spent probably researched every loyalty program to pick the best one. I am sure there are some people who inadvertently got loyalty status and then learned the lesson. None of these people were us! We were late starters at how to travel on points! If you travel within Canada, you really have two options for flying – Air Canada or WestJet. When I worked at a bank, I had an Aeroplan credit card and used that to amass points to use for for flying on Air Canada. This did work out well for me in the days when it was easy to actually use points for travel. I even got business class tickets to Europe on points once. That is how to travel on points! But the ability to travel on points got harder, I ultimately got rid of my Aeroplan credit card. I got a credit card that would leave me with more options for travel. That may have been the start of my fragmented travel experience. For years we used Air Canada and WestJet interchangeably for domestic travel. Air travel out of Canada was selected mostly based on schedule and price. So we flew with a wide range of carriers. And many of them had no partner affiliation with Air Canada or WestJet. In the last year, we have focused on using Air Canada when it is comparable to other options. It does mean we sometimes spend more time watching airfares to buy at the perfect time than we might want. We finally got some status this year and an accumulated balance of Aeroplan points. We need to figure our how to travel on points with Air Canada before the Aeroplan program is replaced by Air Canada’s own loyalty system. For years we used “Hotels.Com” to book all of our hotels. Their loyalty program was simple and effective. For every 10 hotel nights we booked, we got one night “free”. The free night would be at the average of the 10 nights paid. And we didn’t get charged for taxes like so many other programs when you use points. So effectively, we really were getting about 10% off hotel costs. This worked for us for many years when we were looking only at cost savings. But then we started to look at the perks that loyalty to a brand could get you. And we really wanted to figure out how to travel on points. On our trip to SE Asia, we made the decision to sign up with IHG Rewards. And we purchased Ambassador status. Even with a lower loyalty status, the Ambassador program gave us guaranteed upgrades at any InterContinental hotel and one free weekend night. One of the things that I love most about the IHG Rewards Program is that you can get status with both nights and dollars spent. This means that if you are travelling at a more luxury level, you can reach status faster. You are truly rewarded for spending with them. For two years of heavy travel, we maximized every opportunity to earn IHG Rewards points. After the second year we reached the highest tier of Spire Elite. And we have kept buying Ambassador status annually. We had finally learned a little about how to travel on points! The IHG Rewards Program has been great for us. Customer service at InterContinental Hotels has been outstanding. The Holiday Inn Express brand offered a great alternative for quick stays, especially when we wanted to stay close to an airport. The other brands have been a bit hit and miss. And at times, we have been challenged to find a hotel within the group. There have been many places where there we no options. It was time for us to consider adding another hotel loyalty program into the mix. We have two big trips coming up this year and lots of hotel nights to book. In the spring we travel from Prague to Budapest. And then spend 3 weeks in Austria and Switzerland. In the fall, we will visit both China and Japan. It is a good time to try a new loyalty program. We will certainly build a lot of points. And learn how to travel on points with a new loyalty program. After much research, we have decided to focus on the SPG Group this year. With the coming merger with Marriott, this means we really get both programs (and a bonus with Ritz Carlton too!). Before we joined I did a bunch of reading to know how I could maximize my points and fast track status. I learned from others on how to travel on points. Most of the travel brand credit cards give you great sign up bonus points. One of our disappointments with the IHG Rewards Program was the lack of a Canadian card. But SPG Amex had a Canadian card. And we got 20,000 SPG points after spending only $1500. And we are now using the SPG Amex card as much as we can. In fact, it has replaced our former travel credit card for most things. Except for places that are still not accepting American Express. There is a current promotion that gives you 2 points for every dollar spent on SPG travel. Not hard to do when we are trying to accumulate nights or stays for status! And then we get 1 point for every dollar spent on everything else. I held off making a couple of very large travel purchases until I had my SPG Amex in hand! This link will give you more information! Use every opportunity to add points. This is how to travel on points! I never took advantage of opportunities to buy IHG Rewards points. Being a good geek, I built a spreadsheet so I could see if the points purchased were really a value. The only time they seemed to be of value for IHG Rewards was when they were offered at a 100% bonus. When I joined the SPG program, there was an offer for a 35% discount when buying points. Again, my handy spreadsheet showed me that this bonus really made a difference. So I bought the maximum 30,000 points. We then bought 30,000 for David. He will transfer those points back to my account so we maximize the points in one place. That is another thing for couples to keep in mind – keep the points all in one account! You can only buy points once per year. So I will watch for next year to try again. Buying points strategically is a good idea. Yet another tip on how to travel on points! The IHG Rewards Program regularly has an “Accelerate” promotion. I always sign up and have made a lot of extra points through the program. You basically get points for specific events (like a weekend stay, a stay in a particular city, buying rooms with points, etc.). I am just getting the hang of the SPG promotions. I read several blogs that help me to know when a new promotion is announced. And if it looks like I can get points, I have signed up. I now read all emails from the travel companies rather than tossing them right in with junk mail. There may be gold in the fine print! With the SPG alliance with Marriott, you can transfer your SPG points to the Marriott program at a rate of 3 for 1 (e.g. you get 3 Marriott points for every SPG point you transfer). The nice thing about the merging of the programs is that Marriott will match your SPG status level. So transferring some points for a Marriott stay might be a great option. The other thing to consider is transferring the SPG points to an airline. Air Canada is on the list but so are many others that we like. Once we have amassed SPG points, we may want to use them for flights instead of rooms. If you are wondering how to travel on points, consider transferring your points to a place where you will definitely use them. We are continuing to use both our IHG Rewards and SPG Program this year. Although we are focusing on getting status with SPG first. We have little experience with the SPG hotels. Our first SPG stay will be a quick getaway to Washington, DC. We have no experience with how well the SPG loyalty program really works. Will we really see the perks when we get status? It has been a long learning curve for us novices. We have not yet done really great being able to travel on points. But we are hoping that this year we will see a big change. Check back here at the end of the year and we will update you on how well we did. Or didn’t do! 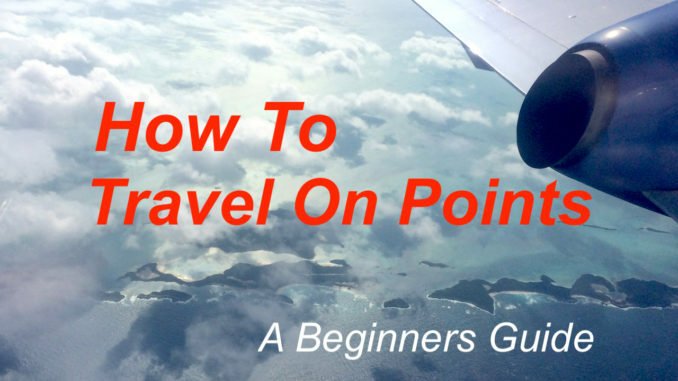 Have you figured out how to travel on points? Other tips? The only difference of note is that Air Canada will allow you to pay to select your seats at all times (at twice the current price) while WestJet will only allow it 24 hours before the flight when the online check-in period starts. And about WestJet Dollars, it’s the equivalent of the Aeroplan program, and again the best way to earn free flights quickly is not by flying (unless you do it very frequently for work), but rather with Travel Hacking, with the WestJet RBC Credit Card which gives you $250 in WestJet Dollars as a welcome bonus when you get the card. Bottom Line WestJet is following its main rival Air Canada and will also be offering Basic Economy fares, it will start soon. I haven’t signed up for hotel points but you have me considering signing up for IHG with all the different hotel brands they represent and it makes sense with the various promotions they offer. I don’t think we get so many points here in the UK. But, I do still save mine and use them strategically for flights and upgrades. Always good to get more tips. And I really should get a credit card! Interesting and timely article. We are planning to visit US and Canada this year, finishing off in Mexico for a few months and I’ve been meaning to do the research into the right loyalty card for the trip. We’ve had Accor Hotels loyalty card for a few years and have found it quite good. For the past 5 months we fairly consistently used the card throughout SE Asia and now we are on a gold tier with lots of points up our sleeve. Thank you for the information and links, I will read through over the next week or so. I always used to fly American, but I think I am going to switch to Southwest. They have direct flights a lot of places I want to go on business as opposed to two hopping with AA or Delta. I just can’t wait till I fly enough that I get a companion pass and the family can come for free. I love your advice about using a spreadsheet to optimize your point purchases. I never really paid attention to points, much. I was trying to get my points up for Agoda because I spend the most on hotels. I usually just book plane tickets on promo. What was frustrating about Agoda was that the prices for the hotel rooms I want are higher than my friend’s account. So, we would rather save now than get points. It seems that you are lucky to find great deals. I think I will try the Hotels.com. We too traveled for several years with out knowing loyalty programs. Off late we too have started using couple of hotel chains and airways. Thanks for the other pointers. Just beginning to learn traveling the budget friendly way. This is a very interesting approach to travel I had not thought about before. I knew that you could earn points through loyalty programs, but that you could also earn discounts and the likes by actually buying points was new to me. Thanks for sharing! I am terrible at collecting points, I really should try harder. I don’t often stay in hotels so have no need to hotel loyalty cards but I do fly quite a bit so I should focus on the airlines I use – I usually just go for the cheapest at the time which doesn’t help in the long-run! Aside from airlines and my one credit card, I just can’t get in to points. It’s so much work and a totally tedious thing to me. But those dedicated to being brand and airline loyal can definitely rack up points. My friend is going on a trip with me, and she’s even flying a different airline (and paying more) than me to stay loyal to keep her status. I do collect and use Airlines points but I haven’t signed up for hotel points. However, your post is making me consider signing up for hotel loyalty points too. Let me start WITH my next trip itself. Very good blog you have here but I was curious about if you knew of any message boards that cover the same topics talked about in this article? I’d really love to be a part of community where I can get opinions from other experienced people that share the same interest. If you have any recommendations, please let me know. Many thanks!